What is the difference between gastric bypass and gastric sleeve? Gastric bypass and gastric sleeve are both types of bariatric surgery. Bariatric procedures are a weight loss tool defined as a surgical procedure that is performed on the stomach or the intestines designed for the patient to lose weight. Each bariatric procedure is different, and one surgery that is good for one patient may not be the best for another. Some of the most common bariatric procedures are the gastric bypass and gastric sleeve. 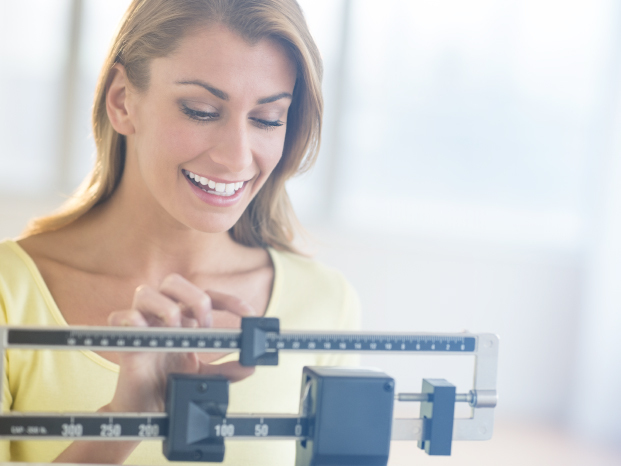 By determining the difference between gastric bypass and gastric sleeve, you can come to a better understanding of which procedure may be right for you. Gastric bypass surgery, also known as a Roux En Y gastric bypass, involves the surgeon dividing the patient’s stomach into two parts, leaving the smaller portion of the stomach functional. The procedure rearranges how both parts of the stomach are connected to the small intestine. This type of bariatric surgery is non-reversible. Gastric bypass surgery is the most common bariatric procedure. Gastric bypass patients experience significantly reduced health problems in comparison to their outlook pre-surgery. The gastric sleeve is considered a safer option for patients with a BMI of 40 and higher due to the fact that the heavier a person is, the more dangerous more invasive surgeries become. The namesake of this procedure comes from the process of forming the stomach into a “sleeve”. The process is considered less invasive because only a few small incisions are made in the stomach. Unlike the gastric bypass, the sleeve requires that most of the stomach be completely removed from the body, leaving it about one-fourth its original size. Like gastric bypass surgery, gastric sleeve surgeries are not reversible. Altogether, this procedure only takes about an hour. Another common bariatric surgery option that is confused with the gastric sleeve a lot is the duodenal switch, which is partially reversible. In the more extreme cases, patients can lose hundreds of pounds rapidly because they are simply not eating enough. When the stomach can only hold a small amount of food at one time, it is important to eat foods rich in nutrients. This syndrome is defined by multiple side effects that are directly related to each other. Side effects include feeling full after eating very small amounts of food, dizziness, vomiting, abdominal cramping, diarrhea, and more. Your body may have trouble absorbing nutrients after surgery. Malabsorption can lead to nutritional deficiencies if not carefully monitored. Why do people get these surgeries? Gastric sleeve patients and gastric bypass patients often enjoy the health benefits of this surgery through the remission of type 2 diabetes and other ailments associated with morbid obesity. The typical bariatric surgery patient has a BMI of 35 or higher and has other health problems caused by their weight. Most people who receive these types of bariatric surgeries do so because they have trouble feeling full. Whether the cause is food addiction or something hormonal, their extended periods of overeating have caused their stomachs to stretch over time to be able to hold larger amounts of food. Both the gastric bypass and gastric sleeve work to keep the patient feeling full after eating, thus encouraging smaller portions. The best outcome is that months after surgery, the patient is able to get to a healthy weight and learn portion control by paying attention to how full they feel after a meal. The type of people who most benefit from bariatric surgery are those who have trouble feeling full or who overeat simply because they have room in their stomach. Besides regaining the feeling of fullness after surgery, there are many reasons why someone would elect to have bariatric surgery. Obesity causes health problems such as sleep apnea, high blood pressure, diabetes, and increases a person’s chances of developing cancer. If you have ever been through a surgery, you know that recovery is more than just waiting. It involves a lot of effort in order to safely heal and ensure that the surgery is ultimately successful. The first months after surgery determine the long-term success of your operation. It is important to make healthy and safe decisions early on after receiving bariatric surgery. Immediately after surgery, your stomach and intestines will be especially sensitive to food. Even certain foods that are normally healthy for a healed stomach are not recommended for post-surgery patients. Both the bypass and sleeve have a recovery period of about 2-3 weeks. Considering the lifetime benefits that are possible with these procedures, though, a couple of weeks seems miniscule. The recovery time may be a factor in your decision to go through with the procedure, however. As far as weight loss, you should expect to lose the majority of your excess weight by the six-month mark. This sounds like very little time, but with the reduced amount of food you eat, it is important to make sure you are getting proper nutrition to heal in a healthy way. When your incision is healed, it is important to remember that weight loss and health must be combined with exercise. You can start with low-intensity workouts such as swimming, cycling, and yoga. Strengthening your cardiovascular system is important, as your reason for getting surgery in the first place is to combat and prevent ailments such as heart disease and high blood pressure. Before deciding on surgery, you can talk to your doctor about your concerns. While weight loss surgery has helped many people get their lives back, there may be other options available to you. Surgery is not for everyone, but it may be right for you if your doctor recommends this route. Knowing what is the difference between gastric bypass and gastric sleeve can aid in the decision process. Another type of bariatric surgery that has not been discussed yet is lap band surgery. Many health professionals do not recommend this method of weight loss as it is known to cause major health problems. Dr. Siddiqi does not perform this surgery because of this. However, he does offer a lap band removal service. If you have received a lap band surgery and are experiencing problems, you can schedule a consultation with us. Lastly, here at Advanced Houston Surgical we provide both gastric bypass and gastric sleeve procedures to our patients. You can visit us online for more information and to schedule a consultation.